The Putter Boy etched 36 oz. Rambler Bottle is the perfect addition to your golf game, blind, ranch, or boat, with enough power to keep your water cold until the very last drop. The 36 oz. Rambler Bottle features a durable 18/8 stainless steel construction with a No Sweat™ Design to keep condensation from collecting. And it’s BPA-free. 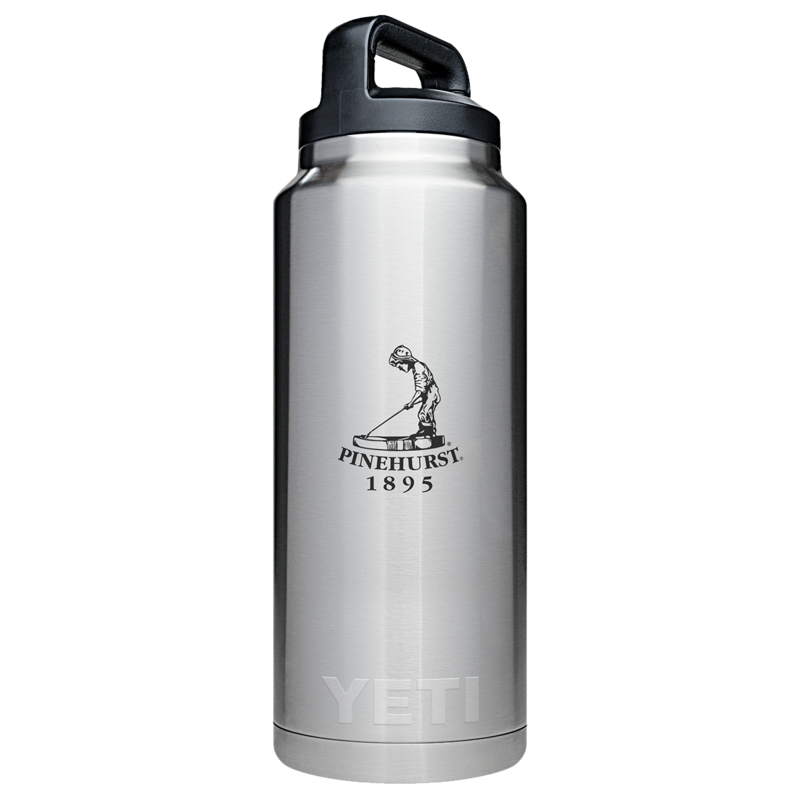 In other words, this is the only insulated stainless steel bottle for cold (or hot) beverages that’s built for the wild (or Pinehurst No. 2).